Two of the Ultimate Fighting Championship’s premier welterweights now find themselves on a collision course, as Rafael dos Anjos will toe the line against Kamaru Usman in The Ultimate Fighter 28 finale headliner on Friday at the Palms Casino Resort in Las Vegas. The event includes the heavyweight and women’s featherweight tournament finals from Season 28 of The Ultimate Fighter reality series, as Justin Frazier meets Juan Francisco Espino Dieppa and Pannie Kianzad takes on Macy Chiasson. A former undisputed lightweight champion, Dos Anjos has thrived in his move to 170 pounds. 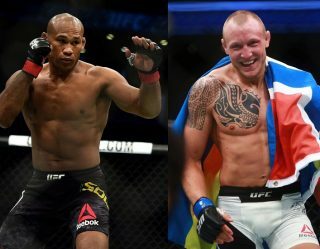 The 34-year-old Brazilian has gone 3-1 since he relocated in 2017, a decision loss to Colby Covington offset by victories over Robbie Lawler, Neil Magny, and Tarec Saffiedine. This marks his first appearance since his defeat to Covington at UFC 225 on June 9. 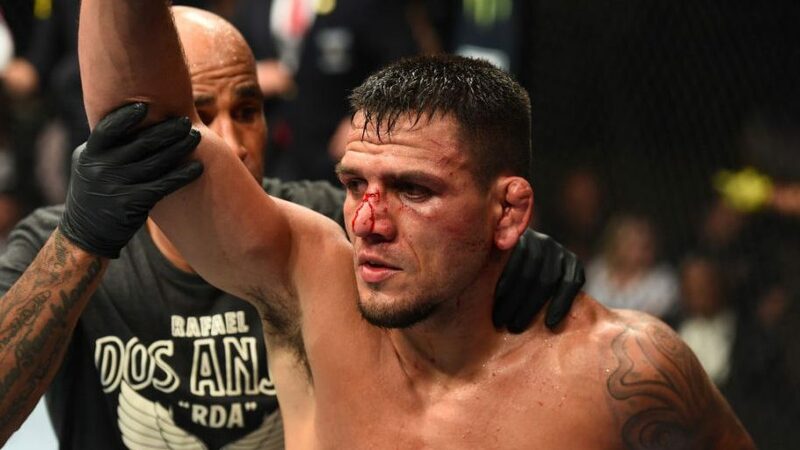 Dos Anjos has been a fixture in the UFC for more than a decade and ranks seventh on the promotion’s all-time wins list with 17. Usman operates out of the Hard Knocks 365 camp in Fort Lauderdale, Florida, where he sharpens his skills under the direction of longtime trainer Henri Hooft. 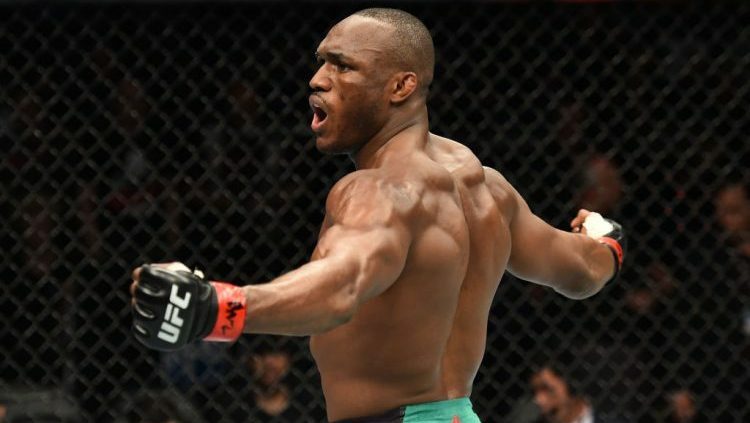 He has rattled off 12 consecutive victories, eight of them in the UFC, and emerged as a potential title contender in the welterweight division. Usman, 31, last competed at UFC Fight Night 129, where he took a five-round unanimous decision from 2007 Abu Dhabi Combat Club Submission Wrestling World Championships gold medalist Demian Maia. Airing live on Fox Sports 1 at 10 p.m. ET/7 p.m. PT, The Ultimate Fighter 28 finale also features a bantamweight clash pairing Pedro Munhoz with Bryan Caraway, a middleweight affair pitting Darren Stewart against Edmen Shahbazyan and a women’s flyweight tilt matching Antonina Shevchenko with Ji Yeon Kim. Fox Sports 1 (8 p.m. ET/5 p.m. PT) and UFC Fight Pass (6:30 p.m. ET/3:30 p.m. PT) will share coverage of the seven-fight undercard. The Ultimate Fighter 28 finale figures to grease the skids for UFC Fight Night 142, which will go down on Saturday at the Adelaide Entertainment Centre in Adelaide, Australia. A heavyweight showdown slotting Junior dos Santos opposite Tai Tuivasa serves as the main event, while 2001 K-1 World Grand Prix winner Mark Hunt locks horns with Justin Willis in the three-round co-headliner. UFC Fight Night “Dos Santos vs. Tuivasa” airs live on Fox Sports 1 at 10 p.m. ET/7 p.m. PT. Fox Sports 1 (8 p.m. ET/5 p.m. PT) and UFC Fight Pass (6:30 p.m. ET/3:30 p.m. PT) will split broadcasting duties for the prelims. Meanwhile, Bellator MMA has planned a doubleheader of its own. Bellator 210 will take the stage with a middleweight battle between Chidi Njokuani and John Salter shouldering the marquee on Friday at the Winstar World Casino in Thackerville, Oklahoma. 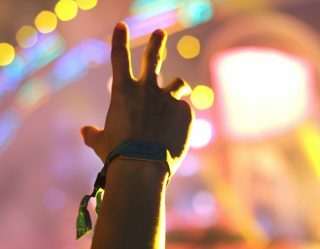 Paramount Network will air the event live at 9 p.m. ET/8 p.m. CT. The promotion then heads overseas for Bellator 211 on Saturday at RDS Stadium in Genoa, Italy. There, the spotlight shines on an Alessio Sakara-Kent Kauppinen headliner. The event will stream live to DAZN at 3 p.m. ET/12 p.m. PT. The regional MMA scene offers options, as well. The fate of the vacant Legacy Fighting Alliance bantamweight championship will be decided in the LFA 55 main event, as the unbeaten Miles Johns squares off with Adrian Yanez on Friday at The Bomb Factory in Dallas. LFA 55 “Johns vs. Yanez” will air live on AXS-TV at 9 p.m. ET/6 p.m. PT.